Why not a bandana instead? Ahh, good question, millenniumfly. In my mind at least the two terms are pretty interchangeable. Though I guess technically there may be some difference in the two. I typically carry a bandana with me when camping or working around the homestead. I also have one in the get home kit I carry with me most everywhere. 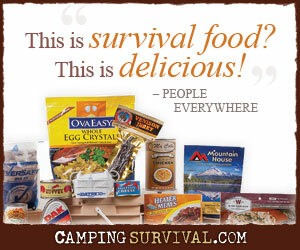 I am a Scout Leader and a prepper. I really enjoyed all the Scouting references and have been looking for ways to teach the boys more survival skills. This is a great one to teach them, using a part of their uniform. Thanks so much! Thanks Todd. As you may have guess, I’m a Scout Leader as well. Feel free to share thing things you’ve learned along the way – either in comments or with a guest post. I use mine for coffee filters, and, I use the camoflauge ones for camouflaging stuff (myself included). A Bandana can also be cut into strips for cordage, tourniquet, etc. Yet another use I hadn’t thought of – and I do enjoy a cup of coffee. Christmas is the celebration of the birth of Jesus Christ. pan & put it in the oven for about 25 minutes. 4 pounds a week so you won’t suffer loose skin post weight loss. Who does not need that little bit of elevation when trying to diet. a white light swirling around me, and see myself smiling and happy as I say to myself, “I am Happy, I am Healthy, I am Wealthy, I am Wise, I am Light, I am Love.